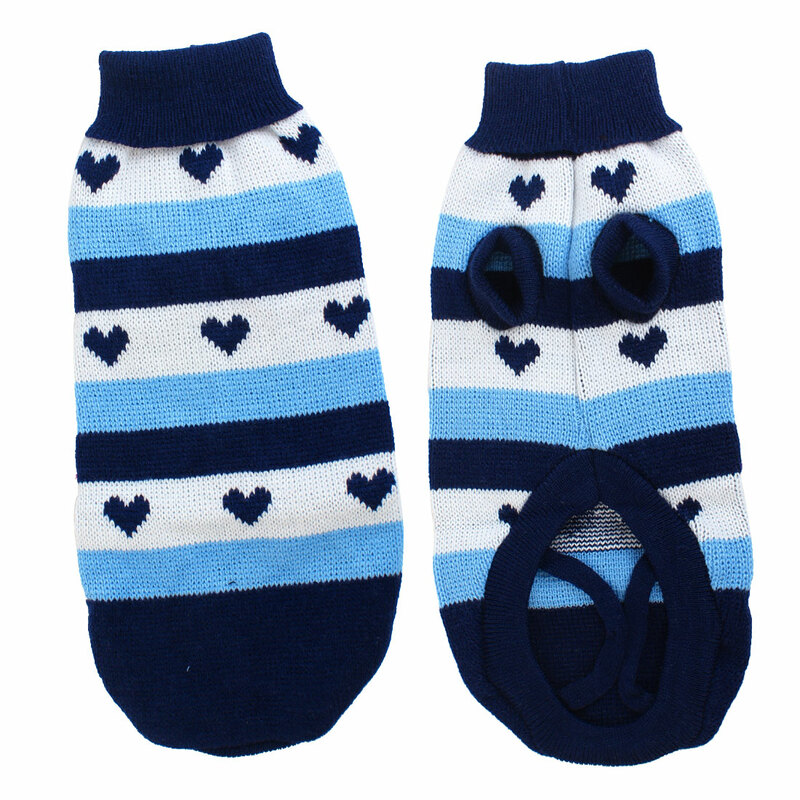 Our size is different with US or international size.Please kindly check your pet's measurements to make sure the item fits before ordering.Turtleneck, hand knit, ribbed, heart and stripe pattern, dog sweater clothes.It is soft and very comfortable to wear. Easy to put on and take off.It can keep your pet warm and make your pet look cool and more fashionable.Size XXS.Color: White, Blue.Size available are XXS, XS, S, M. Color available are White, Blue.Please contact us if you need one which is in the below size chart. Material : Acrylic;Neck Girth : 14cm/5.5"
Chest Girth : 23cm/9.1";Length : 18cm/7"